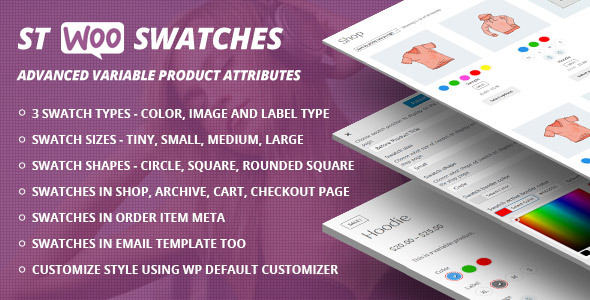 STWooSwatches – Advanced Variable Product Attributes (Swatches) for WooCommerce. The most advanced variable product attributes selector plugin. It converts your variable product attribute dropdown into color, image and label swatches.